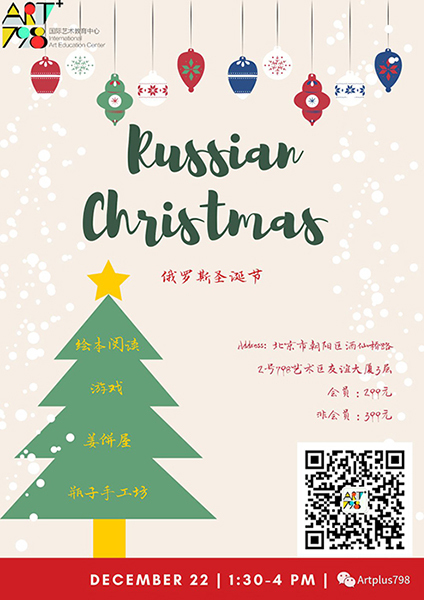 You are at:Home»Things to Do»Hot Events on Cold Days: Lord of the Rings Concert, Russian Christmas Party, and More! Grab some popcorn as well as your fanciest threads for this cinema and high art mash-up. China’s National Opera House Symphony Orchestra will take you on a journey through Middle-earth, performing the epic and soul-stirring classic score by Howard Shore alongside The Fellowship of the Ring. All ages. RMB 880-1,280. 7pm. Beijing Exhibition Center Theater. Each Tuesday night, The Orchid hosts Lu Jie’s fine dumpling making skills in a group class where anyone staying in Beijing can join in. Get the chance to learn how to make dumplings for special occasions, as well as eat and drink together with your classmates. All ages. RMB 350, RMB 200 (kids 12 and below). Sign up here. 7.30-10pm. The Orchid. 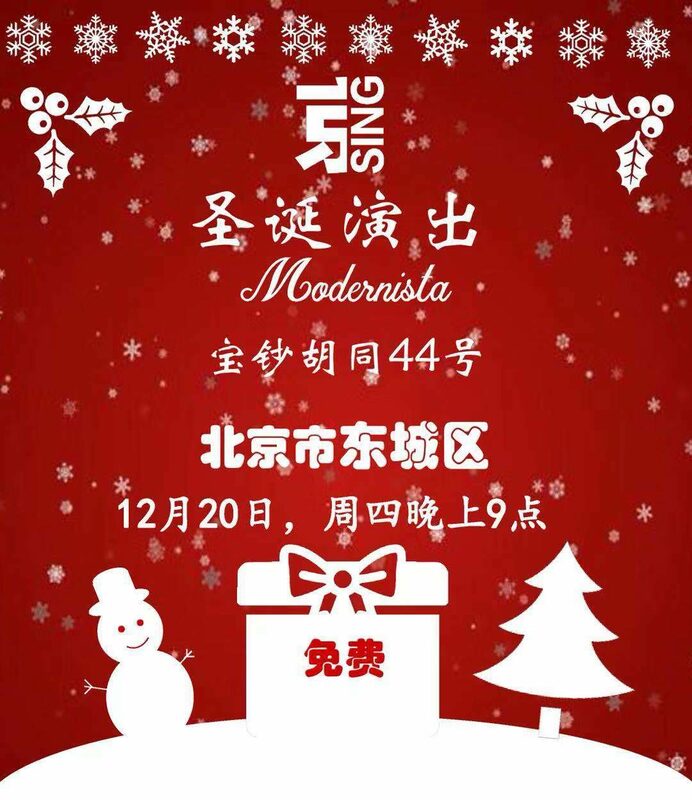 Modernista invites everyone on the evening of December 20 to witness Jing Sing a capella group who promise to astonish guests with their joyful vocal performance and get everyone into the Christmas spirit. Adults. Free. 9-11pm. Modernista. Little Oasis, Parkview Green; and (4) The Roots, Yizhuang Creative Life Plaza. All toys will be donated to MCF. For more information, contact MCF through the QR code in the poster. You might have seen 油泼扯面 (yóu pō chě miàn), or the flat wheat noodles sold at food carts on the street. At this workshop, you’ll be able to make your own flat wheat noodles — no experience necessary! Get an idea about how you can make it extra special from a chef too. The class fee also includes wine, draft beer from Great Leap Brewing, soft drinks, and juice. All ages. RMB 350, RMB 200 (kids 12 and under). Sign up here. 7.30-10pm. The Orchid. Get your last minute gifts at the Treasure Trove Christmas Market, held in partnership by Cultural Keys and Yoolee Plaza. This Christmas market stays open late for everyone to get some holiday shopping done. All ages. Free admission. 10.30am-9.30pm. Yoolee Plaza, north of Worker’s Stadium. Looking for a different way for your kids to celebrate Christmas? Art+798 International Education Center holds a five-day Christmas camp, wherein kids get a chance to immerse themselves in various Chinese arts like painting, drama, shadow play, as well as ancient architecture. The camp also includes two field trips to the 798 and 751 Art and Design Districts and the Forbidden City. All ages. RMB 5,800 (including materials and lunch). ART+798 International Education Center. The SLab’s Metalsmithing 101 winter camp gives an opportunity to older kids and students with no prior experience to learn how to pierce, saw, and finish metal pieces. At the camp, kids will work with brass and silver to create their own jewelry or accessories just in time to wear for the New Year. All classes will be taught in English. Ages 12+. RMB 1,888 (lunch included). 10am-4pm. The SLab.